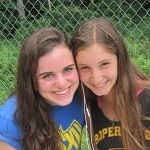 Shabbat is an amazing day at Camp Yavneh, and often is one of the most cherished memories our campers have of camp. So, as a glimpse of what makes Shabbat at camp so unique, I am turning over the newsletter to the campers. Here are some quotes from campers, describing why Shabbat is so special here at camp. Enjoy! It’s day of peace and rest and pray as a community. Shabbat at Yavneh is very meaningful to me because of the spirit and energy at services Friday night. During my free time I get to hang out with my brothers Ben and Adam. There is so much ruach and everyone is into it and it’s great. Shabbat is a special holiday for resting and celebrating. Shabbat at Camp Yavneh is a lot of fun because everybody comes together and sings together in Ben Zvi and we’re all happy and praying. 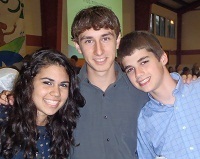 At Yavneh, Shabbat is a good time to rest and time to spend with friends. For me, Shabbat is peaceful and relaxing at camp. Shabbat is about hanging out with friends and being myself. For me Shabbos a break from normal routine reading a book or resting or just having fun. I love having fun with friends singing and dancing and connection with the whole camp. Shabbat is about being all together as a camp. The food is amazing, the ruach, it’s the time everyone has the most fun at camp. It is the time I can step back from the craziness of camp and appreciate what the week has to offer. The week is so much fun but it’s nice to be able to relax on Shabbat. Shabbos is my favorite day of the week, there’s a lot of free time, time to spend with your friends. The whole week is scheduled and Shabbat is not.